It's 1870, and a young woman named Odile is fighting to survive on the blood-soaked streets of Paris. Luckily, Odile has an advantage and a bizarre birthright. She is descended from the Cagots, a much-despised race whose women were reputed to be witches. Were they, in fact? This is the question Odile must answer--about her ancestors and herself--while she uses her talents to help a young Doctor Jekyll who seems to be abusing the salts that she gave him in a most disconcerting way. This is certainly a twist on a classic story. The setting of war torn Paris in the late 1800’s is extremely well depicted, with views and experience hardly heard. The author goes into great detail while setting up the characters and the scene. While also giving hints of things to come since the narration is of Mademoiselle Odile herself retelling the horrible events of years past. It is quite a story, leading the reader through the emotions of Odile, and state of mind of rebellious Paris. A well written adapatation of a timeless classic, a great addition to any library. Disclosure: All opinions are my own. 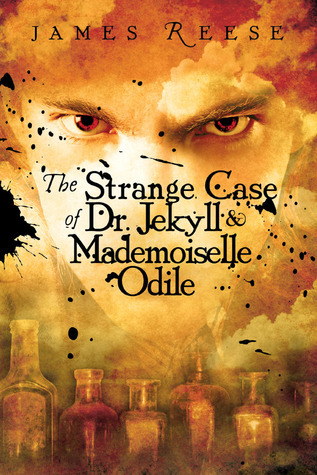 I received The Strange Case of Dr. Jekyll & Mademoiselle Odile at no cost for the purpose of this review. No other compensation was received.